It was 50 years ago this past February that the Beatles first stormed American shores, kicking off the nationwide epidemic known as Beatlemania. Their famed performance on the Ed Sullivan variety program took place on February 9, 1964, and within two months the group had twelve records on Billboard magazine's Hot 100 singles chart, including all of the top five spots. 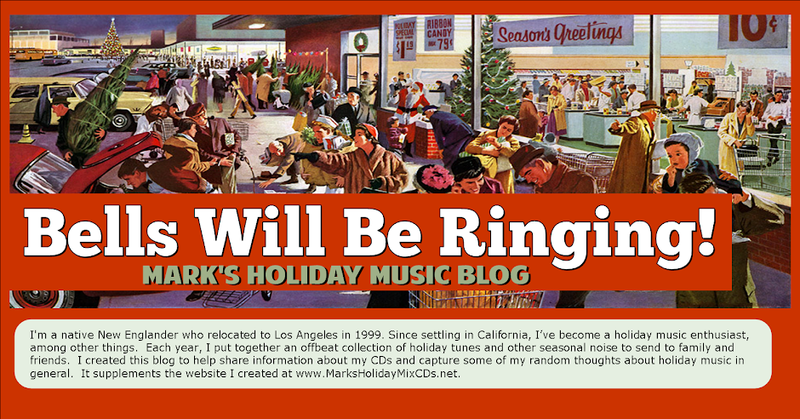 Beatlemania remained in full effect as the 1964 holiday season began, and you can bet that there were thousands of Beatles records under this nation's Christmas trees that year. There were also a number of novelty records that celebrated the Beatles that year, including Becky Lee Beck's "I Want a Beatle for Christmas," Track 22 on Is There Really a Santa Claus? From 1963-69, the Beatles celebrated each holiday season by releasing a new holiday single to the members of their fan club. These were primarily comedy records that featured mostly informal banter as opposed to actual Christmas carols. 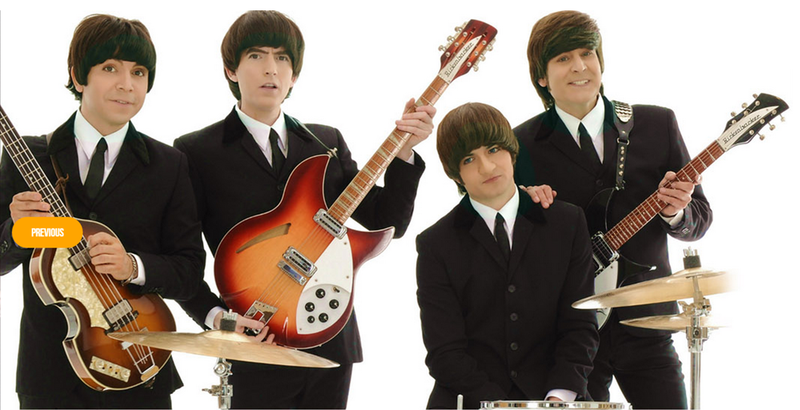 But for those who'd like to hear John, Paul, George and Ringo belting out some standards, the California-based Beatles tribute band The Fab Four have released two albums of holiday classics sung Beatles style. Well, after Yoko and I met, I didn't realize I was in love with her. I was still thinking it was an artistic collaboration, as it were – producer and artist, right? ... My ex-wife was away ... and Yoko came to visit me. ... instead of making love, we went upstairs and made tapes. I had this room full of different tapes where I would write and make strange loops and things like that for the Beatles' stuff. So we made a tape all night. She was doing her funny voices and I was pushing all different buttons on my tape recorder and getting sound effects. And then as the sun rose we made love and that was [the album we later released called] Two Virgins. Some time later, Cynthia Lennon walked in on the pair while they were in a compromising position, and divorce proceedings were soon begun. John and Yoko were married in Gibraltar on March 20, 1969. 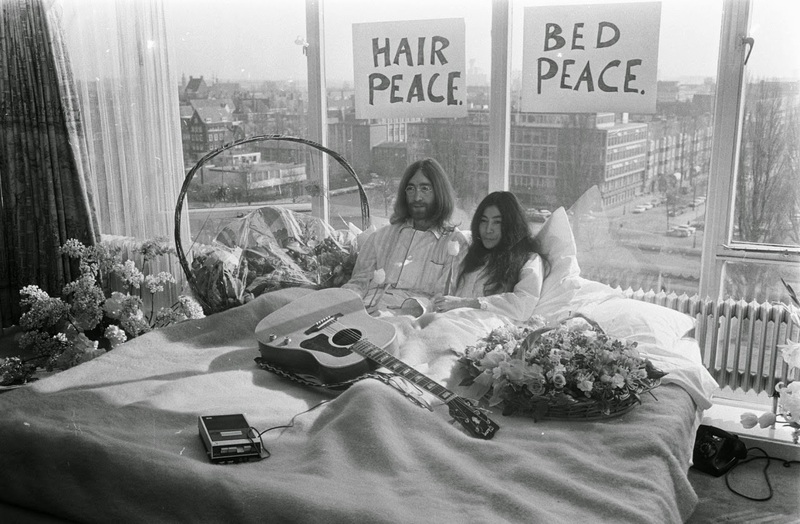 They celebrated their honeymoon at the Amsterdam Hilton Hotel by staging a weeklong "Bed-In for Peace." These events are recounted in "The Ballad of John and Yoko," which was recorded by Lennon and Paul McCartney without band members George Harrison and Ringo Starr and released by the Beatles as a single in May 1969. This little holiday greetings clip was recorded by Lennon and Ono in 1971.